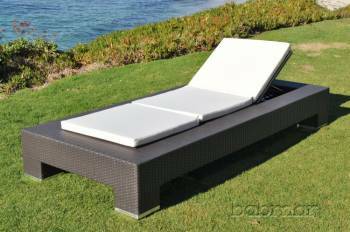 By far one of our best selling outdoor chaise lounges now in available in a double. 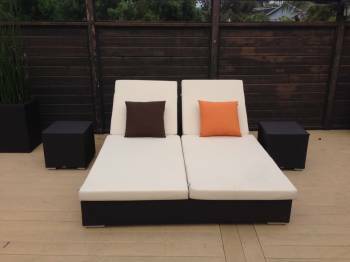 With it's thick cushion and bold styling it has both comfort and style. 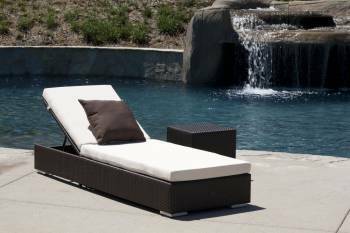 By far one of our best selling outdoor chaise lounges. 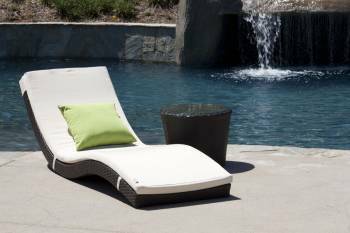 With it's thick cushion and bold styling it has both comfort and style. 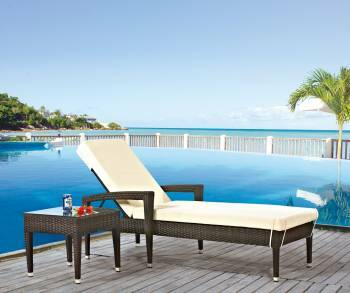 Brown wicker in stock now. Please allow 8-12 weeks for delivery for other colors. 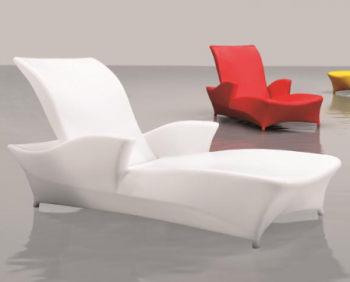 Excellent contemporary outdoor chaise lounge with arms for those who enjoy reading while taking in the sun. Description: Back can also lay flat. Streamlined outdoor classic design. 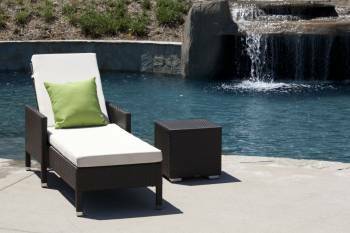 Extreme comfortate and sturdiness makes it great for residential and commercial applications. 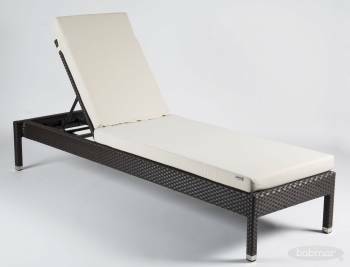 The perfect modern outdoor chaise lounge design for the ease of putting away several at a time in a small space.